HAVE YOU BACKED UP YOUR DEVICE? Most people forget how important a backup is. It’s one of the most important things to setup with any device. 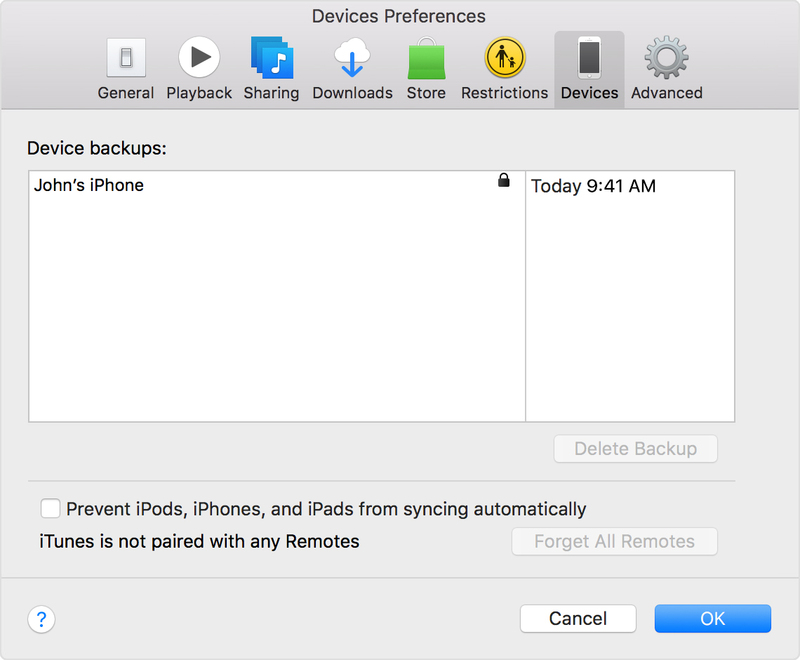 Before you get started, learn the difference between making backups with iCloud and iTunes and choose the method that’s best for you. In case you ever need an alternative backup, you can make one in iCloud and another in iTunes. We’re Glad you’re here, Backing up your device is one of the most essential things when we talk about any device. So today we’d like to help you backup your device, we highly recommend doing this prior to bringing your device in for service. Note: Write down your password and store it somewhere safe, because there’s no way to recover your iTunes backups without this password. If you don’t need to save your Health and Activity data, you can make a backup that isn’t encrypted. Just click Back Up Now. 5. After the process ends, you can see if your backup finished successfully in iTunes Preferences > Devices. (If you’re using iTunes for Windows, choose Edit > Devices from the menu bar at the top of the iTunes window.) You should see the name of your device with the date and time that iTunes created the backup. If you encrypted your backup, you should also see beside the name of your device. Get help making a backup. Once again, we can’t explain it clearer. 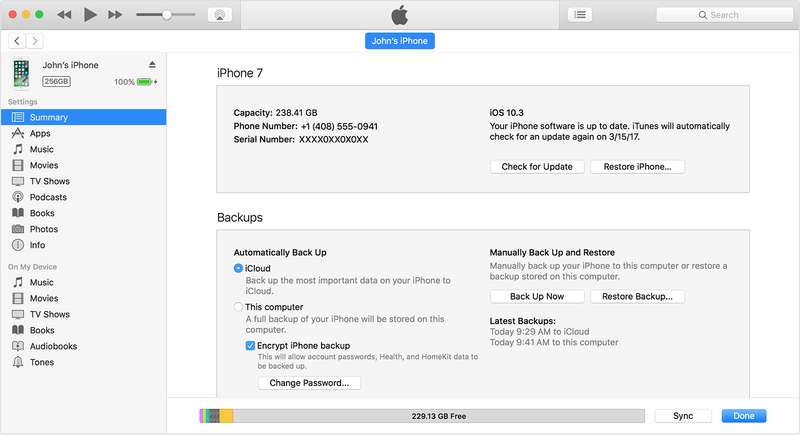 A backup is essential for any device in todays day and age, Here we’re going to walk you through performing a backup using iCloud. Go to Settings > [your name], and tap iCloud. If you’re using iOS 10.2 or earlier, go to Settings, then scroll down and tap iCloud. 4. Tap Back Up Now. Stay connected to your Wi-Fi network until the process completes. 5. Make sure that the backup finished: Go to Settings > [your name] > iCloud > iCloud Storage > Manage Storage, then select your device. If you’re using iOS 10.2 or earlier, go to Settings > iCloud > Storage > Manage Storage, then select your device. The backup should appear in the details with the time and backup size. Make sure that iCloud Backup is turned on in Settings > [your name] > iCloud > iCloud Backup. If you’re using iOS 10.2 or earlier, go to Settings > iCloud > Backup. Check that you have enough available space in iCloud for the backup. When you sign in to iCloud, you get 5GB of iCloud storage for free. If you need more iCloud storage, you can buy more from your iPhone, iPad, iPod touch, or Mac. Plans start at 50GB for $1.49 (AUD) a month. Learn more about prices in your region.